A few months ago I wrote a post about the new “lapdesk” from Dell and it appears that more manufacturers are following in the same direction. 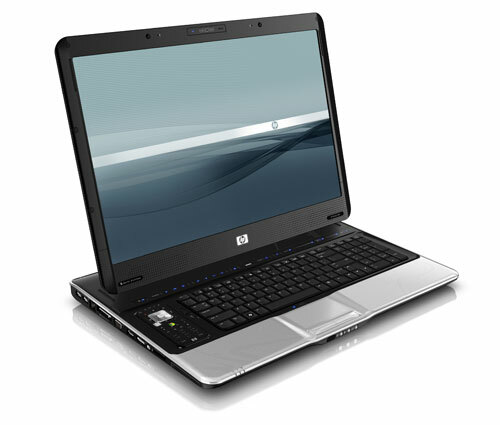 Yesterday HP announced an entertainment notebook dubbed “The Dragon” or Pavilion HDX. The HDX features a tilting 20.1-inch widescreen display. The HDX will compete with Dell’s XPS M2010 for users who want serious multimedia power in a quasi-portable form factor. The complete specifications are found at hpmobility.com along with an extreme high-resolution image to allow you to explore every detail of this beauty. Given the power this computer seams to be shipped out with, it should even work with Vista on it. Update: If you are like me and think this rather heavy “laptops” are decent substituts for the good-old desktop, then the new Acer Aspire 9800 might be of interest to you as well. Take a peak at the Frontside and Backside here.